At the time, there was little to bridge the gap between children’s and adult fiction beyond such series books as Sweet Valley High, and Dessen feared her teen-focused novel would be shelved with such kiddie staples as Goodnight Moon and Beverly Cleary’s Ramona Quimby series. “I was worried about the stigma of it, which was stupid,” Dessen says. The Chapel Hill native needn’t have worried. Ten years and eight books later, more than 1.5 million copies of her books exist in print, and in 2003, two of her YA novels were adapted into the Mandy Moore film How to Deal. Her last book, Just Listen, spent 18 consecutive weeks on the New York Times‘ bestseller list, and Lock and Key, her eighth novel, published by Viking Juvenile, is poised to follow in its success. Key has its roots in Dessen’s life in Chapel Hill, where she still lives. “I used to live in a little farmhouse off the Chapel Hill side of Durham, where I lived with my husband right after college,” Dessen says. Though she was glad to move out of the house, she maintained affection for it—which made it all the harder when she drove by a few years ago to find out the entire property had been razed for an upscale community. “There’s a big, terracotta-looking wall there now and these very big mansions behind it and a gate you have to go through to get to the houses,” Dessen says. Chapel Hill has always been present in Dessen’s work, most explicitly in an early, unfinished novel, written while in college at UNC (where both her parents taught). In that effort, which Dessen claims was “horrible,” she didn’t bother to disguise the town’s identity. “People in my writing group kept pointing out the inaccuracies—it would take longer to get from the hospital to the airport than that—because everyone has an opinion on a place they already know,” Dessen says with a laugh. Still, the area has not only influenced the setting of her books, but also lets her easily flash back to her own high school experiences. “I tend to drive past a lot of places where things happened to me in high school, so I’m never too far away from it,” Dessen says. 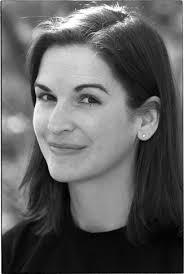 Sarah Dessen has two upcoming local appearances in support of Lock and Key: 3 p.m. Saturday, May 3, at Quail Ridge Books and Music in Raleigh, and 2 p.m. Sunday, May 18, at McIntyre’s Fine Books in Fearrington Village. Dessen maintains a blog at writergrl.livejournal.com. From the world-wide rocking of The Amazing Joy Buzzards to the deep blue journeys of Aqua Leung, Mark Andrew Smith isn’t afraid to deal with extreme ideas. His latest work is a one-shot from Image that deals with the perfect way to create a new generation of superheroes…Kill All Parents. What does this mean, exactly? Read on to find out. The definition of a fan favorite, Scott Morse is one of the most prolific writer/artists of the last decade, doing everything from cosmic epics (Soulwind) to gangsters (Volcanic Revolver) to Akira Kurosawa (The Barefoot Serpent) and even superheroes such as Elektra and Catwoman. Now, the versatile creator has brought back one of his strangest and most beloved creations, Magic Pickle, as a new young readers series at Scholastic. The company just released the first two illustrated prose novels, Magic Pickle and the Planet of the Grapes and Magic Pickle vs. the Egg Poacher, along with a collection of the original Oni Press miniseries, recolored by Promethea’s Jose Villarrubia. Morse, who’s also moonlighting from comics as part of the Pixar team, talked with us about bringing Dill Justice back to comics (and we’re not gherkin you around). Hope Larson’s evocative work on her first two graphic novels, Salamander Dream and Gray Horses, earned her a 2007 Special Recognition Eisner Award. Now, Larson is poised to reach a new and wide audience with Chiggers, a new original graphic novel from Simon & Shuster about two girls forming a unique friendship at summer camp. We called Larson up to find out what readers can expect from this story, and how she drew from her own experiences to tell this tale. Why have David Mamet’s Sexual Perversity in Chicago and The Duck Variations been paired together so often? On the surface, the two one-act plays bear little resemblance, save for their use of blackouts as scene transitions. Nonetheless, Ghost & Spice’s production of the two plays at Common Ground Theatre helps illustrate the similarities that lurk beneath the surfaces of these two seemingly disparate works. The Duck Variations, which opens this production, presents a series of “variations” on a conversation between George (Jordan Smith) and Emil (David Ring), as they observe ducks in the park. The piece contains almost no action and only the merest semblance of a plot, but veteran Triangle actors Smith and Ring have such a solid grasp of Mamet’s staccato dialogue that the energy stays high throughout their time on stage. Their relaxed body language and easy chemistry illuminate their characters’ inarticulate-but-profound observations, such as “Everything that lives must sweat,” which are comic and ultimately poignant. Sexual Perversity is both darker and more elaborate, dealing with the bitterness of the singles scene. Set in the leisure-suit days of 1976, with period songs punctuating many of the scenes, it tells of two sets of friends, Bernie and Danny (Carl Martin and Jeffrey Scott Detwiler) and Deborah and Joan (Tracey Coppedge and Rachel Klem). Their lives collide when Danny and Deborah begin seeing each other, which prompts would-be womanizer Bernie and romantic burn-out Joan to each offer their own destructive support. As Bernie, one of Mamet’s most gloriously misogynistic characters, Martin radiates a raw comic and malevolent presence. Clad in a too-tight business suit reminiscent of Chris Farley’s motivational speaker character from Saturday Night Live (and occasionally a Speedo), he gets to the heart of the combination of braggadocio and resentment at Bernie’s core. Klem, mostly clad in black-and-white outfits, has a particularly difficult character to work with, but gives a comic snap to her line readings, particularly in the scenes where Joan, a teacher, deals with her grade school class. As the couple, Coppedge and Detwiler are better when they’re breaking up than when they’re together, but do an excellent job of communicating how their friends influence their romantic interactions.